Yesterday I got sent some Cypriot Potatoes sent to me from Tesco’s to try out. As I’ve planned the meals over the next few day’s that don’t involve potatoes. I decided to make some mini jackets with the potatoes as a little side dish to go with our dinner. We were having chicken tikka and rice last night and these made a fun and interesting addition, that went down well with everyone. Scrub the potatoes clean leaving their skins on. Make some little holes in the potatoes with a fork. Place some olive oil in a dish and roll the potatoes into the oil. Place in an oven tray and sprinkle with sea salt. Cook for around 1 hour, until nice and soft. Cyprus has long been revered for the quality of its potato crop. 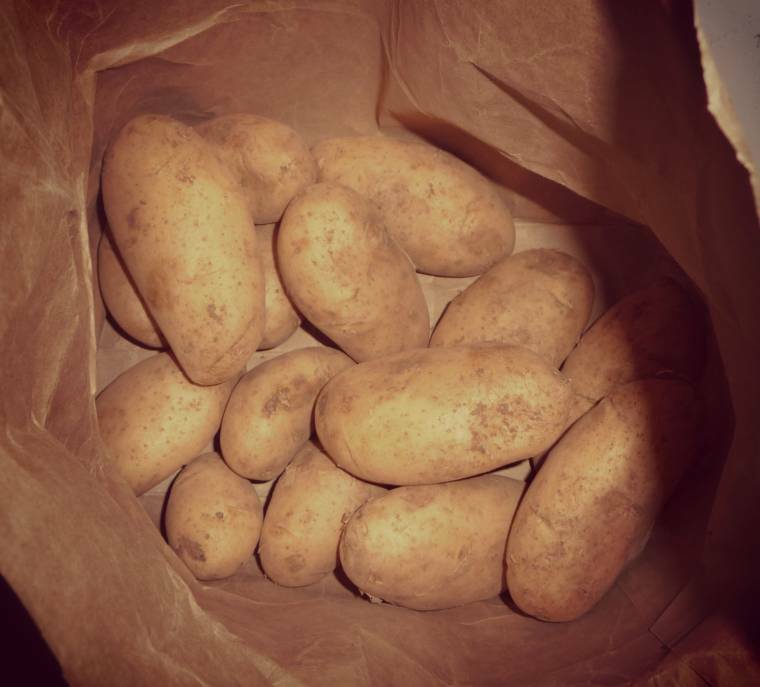 Cypriot Potatoes have a distinctive red toned skin, soft yellow flesh and delicious creamy but earthy taste. They are hand-harvested on the family-run farms in Cyprus to ensure each potato is blemish free and of the highest quality. Freshly dug every day, Cypriot Potatoes are truly ‘new’ potatoes which are not stored but shipped straight to the UK so they also have a low carbon footprint. Most importantly Cypriot Potatoes certainly do not disappoint on taste – with a rich, creamy, earthy flavour and perfectly firm texture they are extremely versatile. From fresh potato salads and crispy potatoes with a spicy tomato sauce to simply served with a handful of fresh mint and knob of butter, their quality will ensure they are the star of any dish. Supplied to Tesco by Greenvale AP, the UK’s leading potato supplier, Cypriot potatoes are also a firm favourite among the culinary elite including Michelin star chef and Saturday Cookbook presenter Mark Sargeant and top food blogger, author and supper club host Kerstin Rodgers aka Ms Marmite Lover who have both devised some tasty recipes to showcase these very special potatoes. Below are some recipes by Mark Sargeant using the Cypriot Potatoes. Place the potatoes in a pan and cover with salted water then bring to the boil and simmer for four minutes until just tender then drain and cool. Heat the olive oil in a large sauté pan and fry the potatoes until golden. Remove from the pan and set aside then add the onions, garlic and spices and fry until lightly golden. Place the potatoes back in the pan with the onions and add the tomatoes. Cook on a high heat to reduce the tomatoes slightly for about 3 minutes then add the spinach. Remove from the heat straight away and gently toss the spinach so that it just wilts then add the vinegar and some of the chopped oregano. Pour into a serving dish then crumble the feta cheese on top, sprinkle some olive oil, black pepper and more fresh oregano over and serve with some crusty bread. Put the leeks, butter and thyme in a pan, cover and cook over a low heat for about 20 minutes until very soft, stirring occasionally. While the leeks are cooking, put the potatoes in a pan of cold water, bring to the boil and simmer for 4-5 minutes until just cooked. Drain the potatoes and stir into the cooked leeks then add the olives. Leave to cool, stir in the goat’s cheese and season with sea salt and plenty of black pepper. Pick the marjoram leaves into the mix also. Heat the oven to 200C/fan 180C/gas 6. Divide the pastry in two and roll one of the pieces to the size of a dinner plate. Transfer this to a baking sheet and roll the remaining pastry and any trimmings to a round about 5cm bigger than the first. Pile the filling into the middle of the round on the baking sheet, leaving a 4cm border. Brush the border with the beaten egg, then drape over the larger piece of pastry. Trim the edges to neaten, then press the sides together with your thumb. Brush the pie all over with egg. Bake for 35-40 mins until golden. Leave to rest for 10 mins before cutting into wedges. Serve with a salad of lightly dressed Cos lettuce. 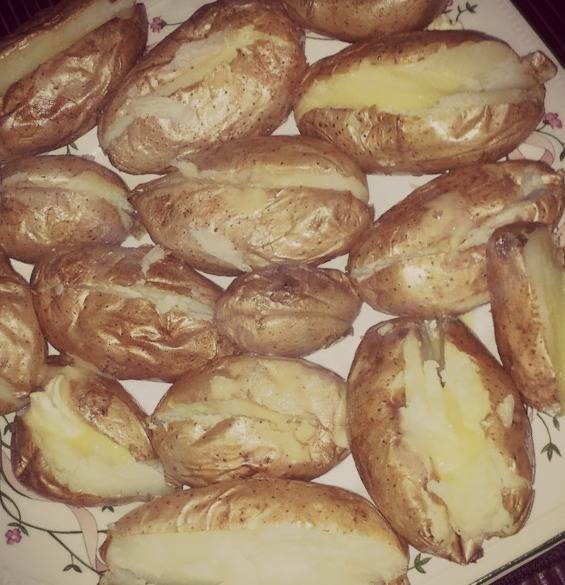 The potatoes looked felt and tasted high quality, they baked perfectly in the oven and tasted so yummy. These Cypriot Potatoes will be available in Tesco loose from December and pack as part of their finest range from January. I was sent some Cypriot Potatoes to try out and was not paid for this post. "Kit Kat Milkshake And #Runstreak Day 7 …"
I love potatoes and these Cypriot potatoes certainly sound delicious. Thanks for sharing the information about these potatoes and the recipes Claire.